Athens, AL. American Bass Anglers (ABA) announced today the 2019 season for the Bass Pro Shops Fishing Tour (AFT). The tour is a draw format that offers more than seventy divisions with 600-900 tournaments per season across the eastern half of the United States. Members of ABA qualify for the year-end national championship by competing locally in a minimum of four one-day divisional qualifying events and a Divisional two-day championship. ATHENS, Ala. – October 30, 2018 -- American Bass Anglers announced today the 2019 American Fishing Tour Championship, will be hosted by the Eufaula/Barbour County Chamber of Commerce and will take place Oct. 13-18, 2019 at Lake Point Resort State Park on the Walter F. George Lake (Lake Eufaula) in Eufaula, AL. The onsite registration and dinner will take place on Tuesday, Oct. 15, 2019. 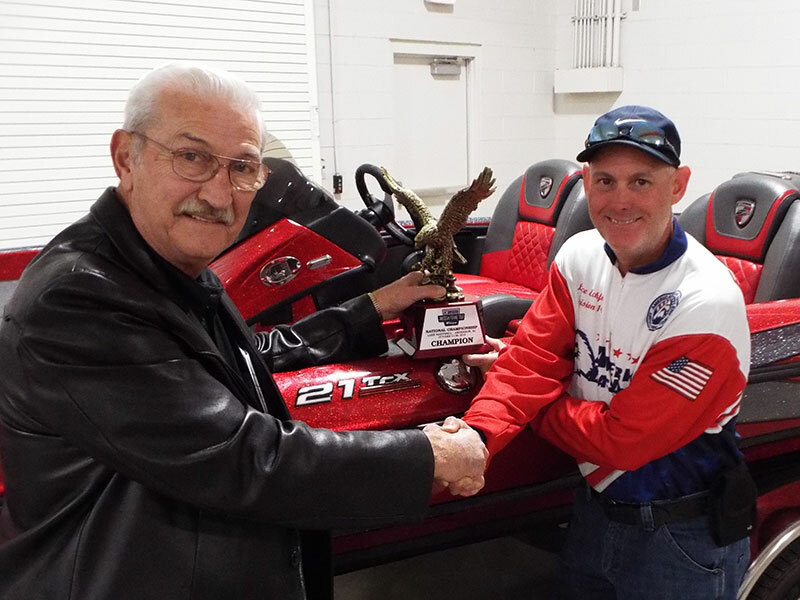 ATHENS, Ala. – The 2018 American Bass Anglers' American Fishing Tour National Championship on Lake Hartwell near Anderson & Greenville, SC was concluded on Friday October 26th in an unexpected manner. Due to unforeseen weather conditions including high winds and rough waves, the third day of competition was canceled at approximately 7:45am on site at the Green Pond ramp after a delayed launch. The current standings from Day 2 were verified and locked in as the final results for the championship event. 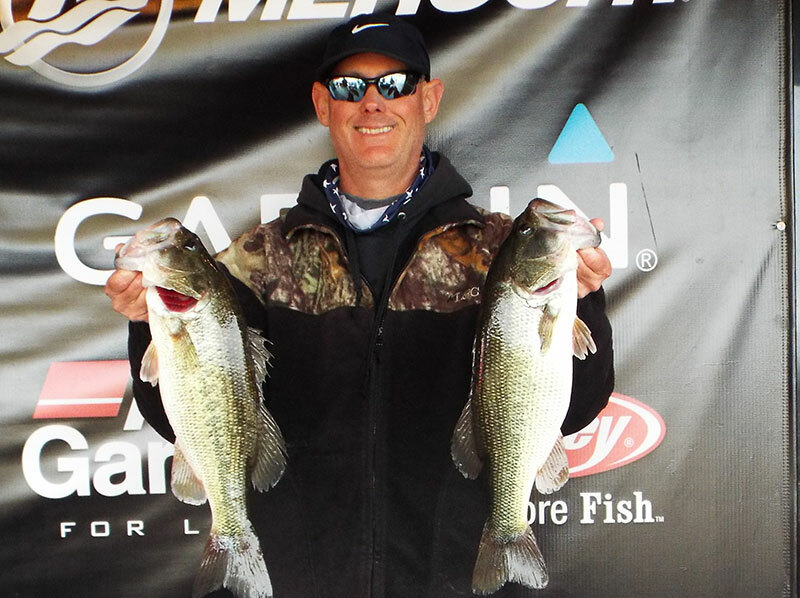 ATHENS, Ala. – The 2018 American Bass Anglers' American Fishing Tour National Championship on Lake Hartwell near Anderson & Greenville, SC ended the second day of fishing on October 25th. The skies remained clear with a cold front coming through during the day that changed the tide for several of the competition's anglers. ATHENS, Ala. – Running out of Forsyth Park in Monroe, LA the field of Ram American Fishing Tour Anglers is finding this fishery challenging due to some low water conditions. All three days will be needed to figure out these fish. The area has not had any rainfall in over a month and the river is below normal pool making it difficult to reach some of the preferred backwater locations for bass. Some have said that these conditions have leveled the playing field a bit, forcing most to fish in areas they have not been before. Kevin D. Jennings of Calhoun, LA finished on top of the field after day one with a 5-fish limit of 12.50 lbs. Only 5 anglers were able to break the 10-lb. mark at the scales on Wednesday. In second place just ounces behind the leader is Colby Miller of Elmer, LA with 12.14 lbs, and sitting in 3rd place is William Sheffield of Hawkinsville, GA with 12.07 lbs. The American Fishing Tour is one of the oldest national bass fishing tours in the US. It started in the mid-70s as Military Bass Anglers Association. In 2000, the series was renamed to American Bass Anglers and opened to all non-military. Here is some basic information on this national bass tournament tour. The tour offers a national format for the true grass root anglers. With a low entry fee of $70 for a one-day event and a path to a big national championship. The concept is very simple, fish local, do well and advance to a year-end championship where the prizes are huge. For example, this year at the Championship in October, there will be three fully rigged Triton Boats with Mercury Outboards that will be won. A Triton 21TRX to the Champion, a Triton 21TRX to the Angler of the Year and a Triton 19TRX to the top placing non-boater. How do I find a local division? First, visit www.drawtrail.com , click on “Tournaments” and you can search by state, lake or even date. You can always call American Bass Anglers Member Services at (256)232-0406 and they will help you find the closest division. Athens, AL. The top 500 Ram American Fishing Tour anglers for the 2016-2017 season will be invited to attend the 2017 Ram Trucks American Fishing Tour National Championship at the Ouachita River in Monroe, LA on October 15-20, 2017. Event launch and weigh-in will take place at Forsyth Park, located at 2101 Riverside Drive; Monroe, LA 71201. The Championship will be hosted by the Monroe-West Monroe Convention & Visitors Bureau. More info on the local Monroe, LA area is available at this link. “We are excited to be hosting the 2017 Championship, and look forward to welcoming the anglers to Louisiana in anticipation of a great week of fishing on the Ouachita River. We are proud to be a partner with ABA and look forward to showing all of their competitors a warm welcome to Monroe-West Monroe, LA”, said Scott Bruscato, Monroe-West Monroe Convention & Visitors Bureau. 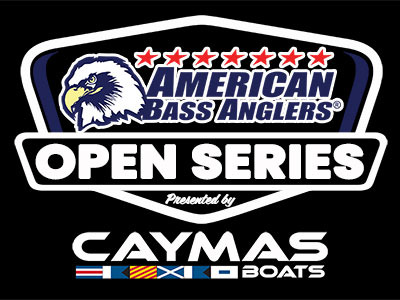 “This will be the first time that American Bass Anglers has held a championship on the Ouachita River. Many anglers have asked over the past couple of years to visit a body of water that has not hosted a Championship in the past and there has also been several requests that we visit a river fishery. This makes the Ouachita River a great destination. We look forward to working with the Monroe-West Monroe Convention & Visitors Bureau to make this a great event,” said Morris Sheehan, ABA President. The Ouachita River (wah-shi-tah). 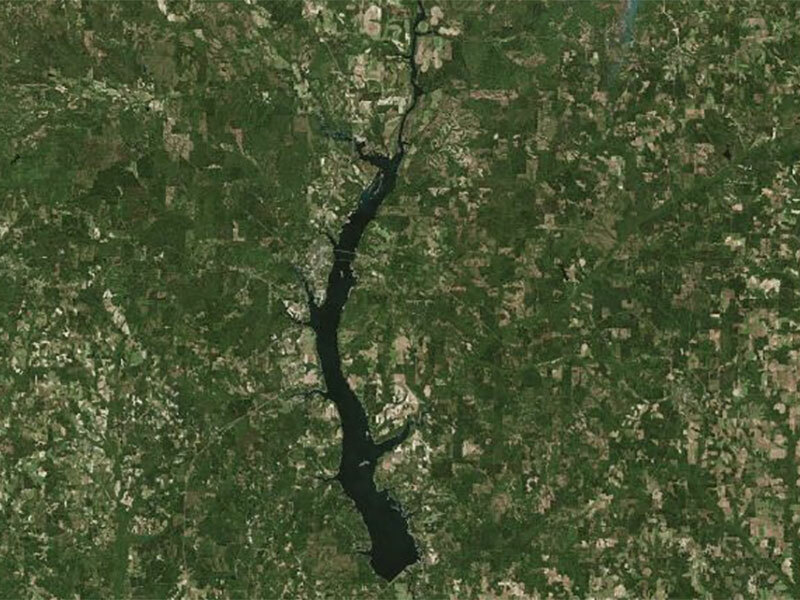 The river is named for the Ouachita tribe, one of several historic tribes who lived along it. Others included the Caddo, Osage Nation, Tensa, Chickasaw, and Choctaw. Washita is an Indian word meaning "good hunting grounds" and "sparkling silver water." The river has held some large championships in the past. The most notable was the Albert Collins B.A.S.S. Federation Nation Championship win in 2015 with 44 pounds, 15 ounces over three days. In an interview with Bassmaster Collins said there was a lot of backwater, stumps and a good channel and reported he caught most of his bigger fish on white/chartreuse spinnerbait with silver and gold willow blades. 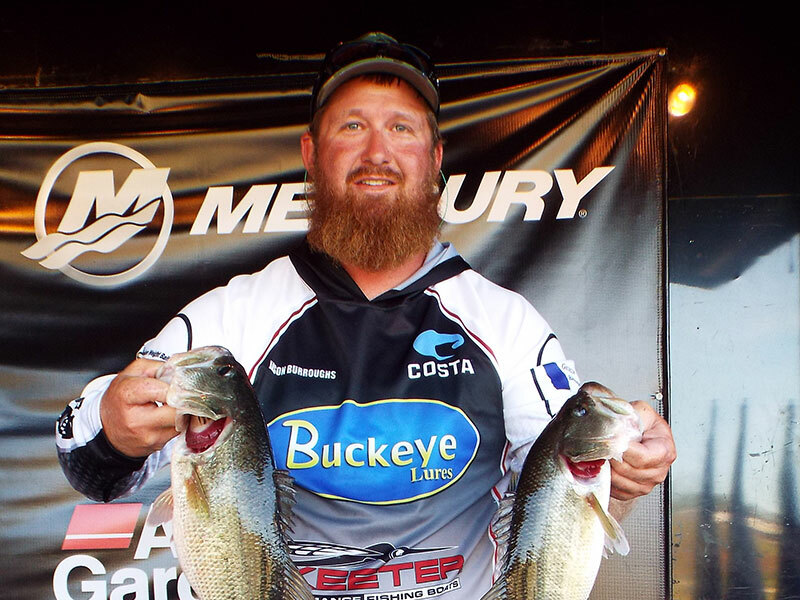 ATHENS, Ala. – Chris Lynch of Panama City, FL wins 2016 Ram Trucks American Fishing Tour National Champion with a three-day total of 54.75 pounds on Lake Eufaula Alabama. He secured the victory with a 5-fish limit on the final day that weighed 17.58 pounds giving him 10-pound margin of victory over second place. “I wasn’t sure if my fish would hold up for three days but they did and it couldn’t have been better. The wind, wow, it was brutal today and blowing like it was I knew it was going to be rough but I still made my run to the south end of the lake. I was able to catch my fish and knowing how rough it was going to be, I left the area and gave myself 3 hours to get back. I had these fish on a frog pattern and they stayed true all week. The area I was in was somewhat protected from the wind, it was just getting to them today and getting back that had me worried. I stayed in some grass areas all 3 days and tried my best to manage the fish and not catch too many each day. ATHENS, Ala. –Tony Tidwell of Horton, AL has a solid day landing 5 fish for 23.50 lbs to take the lead with a two-day total of 40.47 at of the AFT National Championship on Lake Eufaula Alabama. Tony is the North Alabama Division 29 Angler of the year and had big bass on day one of this championship. “I struggled a lot more today. At 11:30 I didn’t think I was going to catch a fish. I had nothing but water in my live well. 5 min later caught my first keeper. It wasn’t until 2 pm I caught my 2nd keeper. One here and one there, no specific pattern. I caught my last 3 with about an hour to go and had I not been in the last flight I know I wouldn’t have them. I’m just blessed today.